1) In unique anatomical shape, keeps baby in the ideal bathing position and prevents baby from slipping under the water. 2) Make it safe, convenient and fun when taking bath for baby. 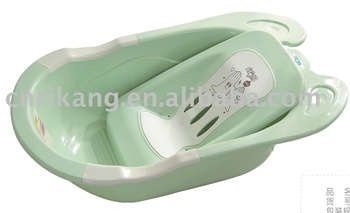 3) Various designs and colors can be choosen, the accessoris of bathing seat and bathing net bed are optional. We also offer OEM & ODM services.